There are quite a few mobile games available right now featuring your favorite and least favorite wrestlers. Many of them are good and we’re still playing many of the older releases because of their high quality. And because we like to see John Cena lose. But Glu have announced that they’re working on delivering a brand new WWE game on mobile, featuring some of the superstars out there. You’ll get classic wrestlers like The Undertaker, Stone Cold Steve Austin, The Rock and Triple H, but also more recent fighters like John Cena, Roman Reigns and Brock Lesnar. Of course, there will be even more. The game will feature one-touch gameplay mechanics with deep meta game features according to the developers – but what that means exactly isn’t clear right now. The game seems to be in its very early development stages, but most likely it will be a fighting game. But it could go in any direction after all. 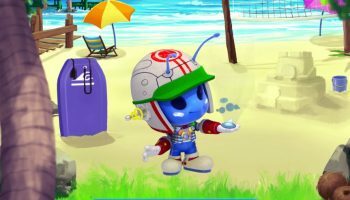 What we know is that development is on good hands: the upcoming game will be created by the same studio behind the popular Tap Sports Baseball mobile game. Currently slated for global release in 2018, Glu will release additional information on the game’s development at a later date.